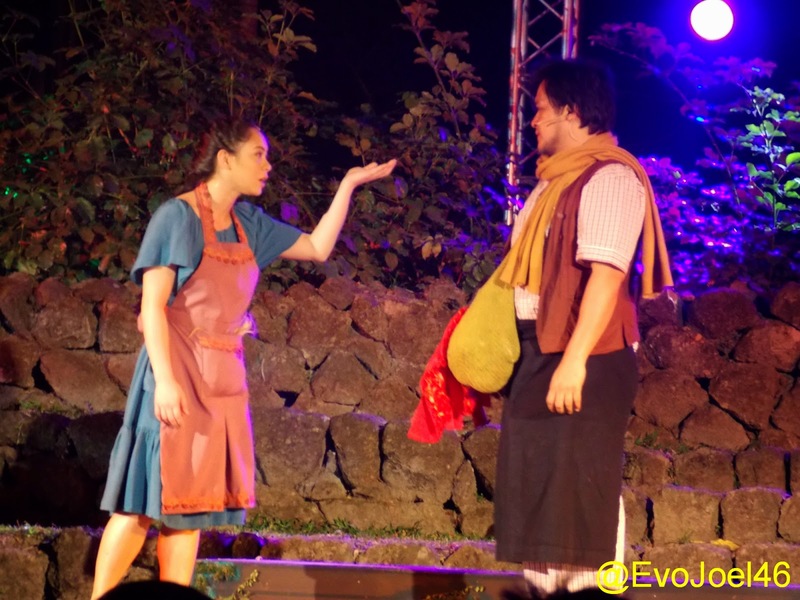 Evo & Grace: The WanderLusts: Showcase of exceptional talents at Into The Woods. Showcase of exceptional talents at Into The Woods. Once upon a time, there was a story staged on Broadway with good music and concept. The creators put a modern and dark twist on several Brothers Grimm fairy tales. It was spectacular. It was even made into a film very recently. Then some Filipinos thought of staging Into the Woods with some of the great actors in the country. Here's the thing, I have a huge problem with Broadway plays produced in Manila, presented as it is, especially that the film version is still at the height of fame. It becomes just a showcase of the actors' talents. It's just like watching a local Sunday noon-time show. Upstart's production latest production is just like that. It's like watching a school play with really exceptional acting. Staging it in a real garden, with real trees as the backdrop, was a very good idea. However, there was failure in other technical aspects. The props and costumes looked like the producers ran out of budget. I was expecting something more luxurious since it was based from fairy tales. The presentation of the entire musical lacked imagination. I thought that during the rehearsals they would always conclude "Sige, okay na yan. ", when they could have done more. The Wife and the Baker scene. Luckily, the actors delivered. Rachel Alejandro shined as the Witch, made me wished she would do more theatre. 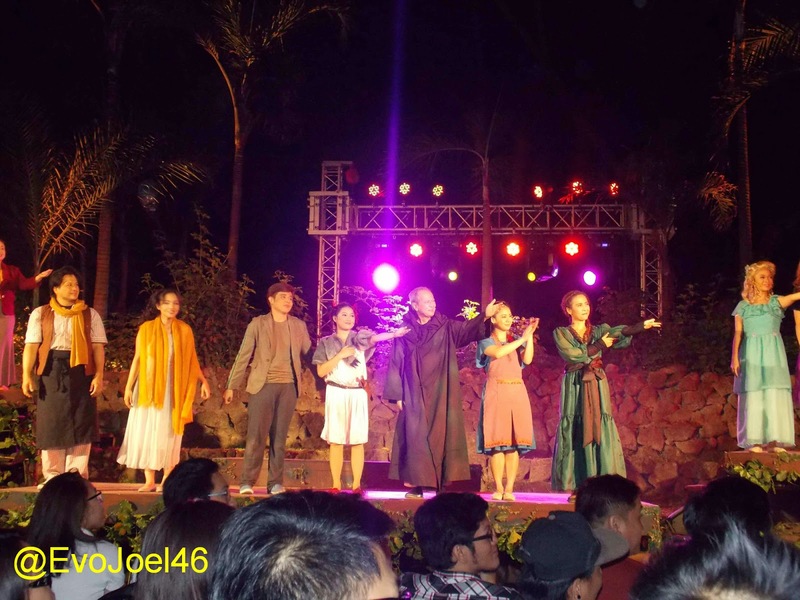 Other famous actors like Julienne Mendoze and Noel Trinidad also dazzled on stage. Verdict: C+. I did not even write a synopsis because you probably have watched the film or even the Broadway production.